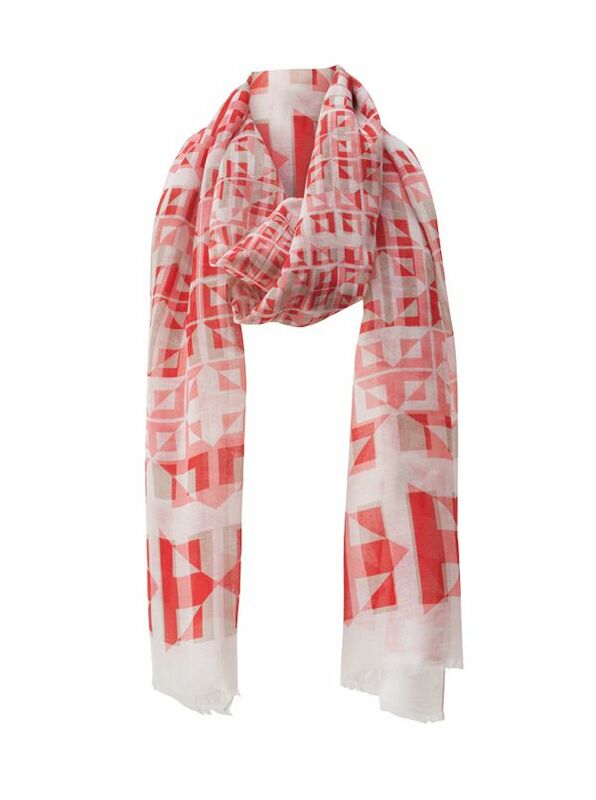 Modal/Linen Italian Scarf in a lively red print sure to spark any ensemble. Made in Italy of 85% modal/15% linen. 76" x 25".